We honor our good friends who have gone before us. They will be missed but never forgotten. David Leo Callen died on Tuesday, February 15th, 2005 of cancer. He was seventy-four years old. He is survived by his wife Mary Waguespack Callen, six children, thirteen grandchildren and two great grandchildren. Dave is also survived by three sisters and one brother. 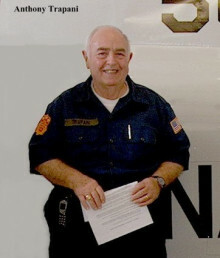 Dave was an active member of the Catholic Church for over fifty years. He was a founding and active member of the Cursillo Movement, a St. Louis Medal recipient and member of many church organizations. He was a Korean War veteran and a long time member of the 122nd Restoration Unit where he served as secretary and publisher of our monthly Newsletter. 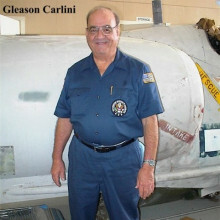 Gleason Carlini passed away on Sunday, March 22, 2015 at the age of 85. 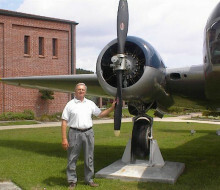 Born and raised in New Orleans, he attended Nicholls High School and was a avid lover of airplanes and flying. He served with the US Air Force and with the 122nd Bomb Squadron, Louisiana Air Guard during the Korean War. 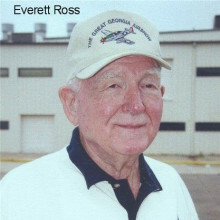 He worked for Lakefront Airport, NOPSI and the USDA and served for many years as a volunteer in the 122nd Restoration Group restoring planes and helicopters at the Jackson Barrack's Museum. Anthony Civello died Wednesday June 4, 2003 at Chateau Living Center. He was 85. 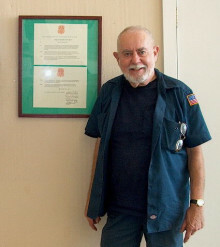 Anthony retired from Kaiser Aluminum after 32 years service and was an active member of the 122nd Restoration group. He is survived by his wife Florence Cuccia Civello, two children, five grandchildren and one great grandchild. Frank Howard Duckworth died on Thursday, June 19th, 2003. He was 75. He is survived by his wife Helen Tranchant Duckworth, four children, six grandchildren and one great grandchild. Clarence Francis Eckelmann died Thursday Sept. 27th at Touro Infirmary. He was 71. Born in New Orleans, he lived in Metairie for the past 44 years. 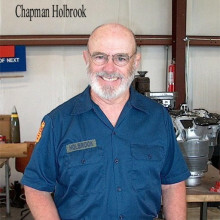 He retired from New Orleans Public Service Inc. where he was general manager of electric transmission and distribution. He was the technical director of City Park's Celebration in the Oaks, a member and past president of the Moisant Kiwanis Club and an active member of the Kenner Naval Commission. He was a former staff sergeant in the La. 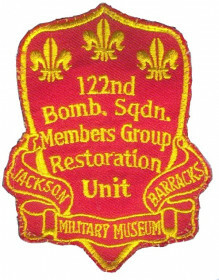 Air National Guard, serving in the 122nd Bomb Squadron, and special projects advisor at the Jackson Barracks Military Museum and Air Park. 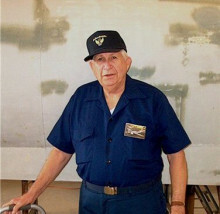 Clarence was also the President of the 122nd Bomb Squadron Restoration Group. He is survived by his wife Evelyn Stroud Eckelmann, two daughters, two sisters, and seven grandchildren. Harmon W. Fischer died on Thursday, November 8, 2007 at his home. He was 75. He was born in New Orleans and lived in Metairie and Jefferson La. for many years. He graduated from New Orleans Academy in 1949. He attended Tulane University briefly before being employed at D. H. Holmes Co. where he retired as Divisional Vice-President, Director of Planning. 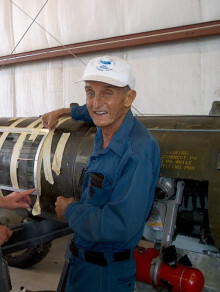 Harmon served in the 122nd Bomb Squadron (L) of the Louisiana National Guard for over seven years, including active duty with the U.S. Air Force during the Korean Conflict. 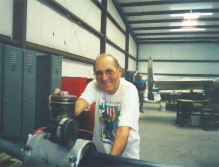 He joined the Restoration Group about the time the Douglas A-26 project began. 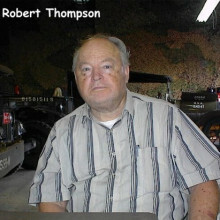 He was a long time member of the BMW Car Club of America, served on the Club's national board for thirteen years, and was president for two years. He was co-owner of Import Auto Inc., a dealer for BMW, Peugeot and Citroen automobiles in the early 1970s. There are no survivors in the United States. Chappy died peacefully on September 23, 2015 after a short illness. Born in Middlesex County, Connecticut in 1935, he graduated from the Morgan School in Clinton and the University of Connecticut. He served as a US Army Intelligence Officer in Korea then settled in New Orleans to work in the oil and gas industry. He was an avid automobile and sail boat enthusiast, enjoying racing in both sports. He was the recipient of multiple awards for his volunteer service with Oschner Hospital and was an active long-time member of the 122nd Restoration Group where he was awarded the Army's Distinguished Civilian Service Medal in 2015. Robert M. Monsted died on Sunday July 10, 2005. He was Ninety-one. He attended Newman School, graduated from Woodberry Forest School in 1933 and received a Bachelor of Arts Degree from Tulane University in 1937. 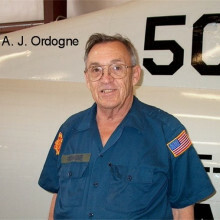 He became a commercial pilot and worked for Vincent Aeronautical, Inc. He earned a commission as a Lieutenant in the Army Air Corps Reserve and was an original member of the 122 Observation Squadron of the Louisiana National Guard. During the war he was a pilot in the Army Air Corps, completing his service as a Lieutenant Colonel. He was awarded both the Distinguished Flying Cross and Air Medal with two Oak Leaf Clusters. Being recalled to active duty during the Korean War he served as Commanding Officer of the 122nd Light Bomb Squadron, La. Air National Guard, based at Langley Air Force Base. 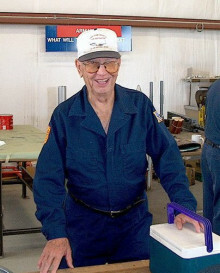 In later years he became an active member and honorary Commanding Officer of the 122nd Bomb Squadron Restoration Unit. He is survived by his wife of 69 years, Evelyn Walker Monsted, three children, six grandchildren and eight great grandchildren. Cliff was born in New Orleans in 1929 and passed away on April 19, 2014. He worked at the American Can Company for 33 years and proudly served in the Air Force, Air Force Reserve and Louisiana Air National Guard participating in the Berlin Airlift in World War II. He volunteered his time with the Starduster's Drum and Bugle Corps as was as the 122nd Restoration Group. Glauco Joseph Posseno died Monday Sept. 3rd. at East Jefferson General Hospital. He was 76. Glauco was born in New Orleans and lived in River Ridge for the last 45 years. He was a former Eagle Scout and founder of Scout Troup No. 33. A veteran of World War II and the Korean War, he served in the Air Force for 32 years and later in the Louisiana National Guard. He was a member of the 122nd Bomb Squadron Veterans Association and an active worker with the Restoration Group. He is survived by his wife Beverly, two sons, three daughters, seven grandchildren and one brother. "Trap" passed away December 18, 2011. 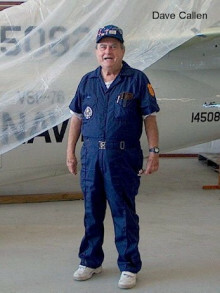 He was born in New Orleans in 1930 but grew up in Bay St. Louis, Mississippi where he attended Saint Stanislaus Collegiate and earned his pilot's license the day he turned 16. He later attened Delgado Community College until he joined the Louisiana Air National Guard. In 1855 he began a career at Freeport McMoran Mineral Company piloting the Grumman Mallard. He retired in 1990 as Chief Pilot of the Aviation Department. 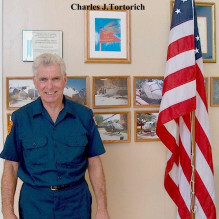 In addition to his participation with the 122nd Restoration Group, he volunteered with the Civil Air Patrol and served on the Hancock County Port & Harbor Commission. 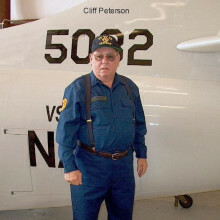 He co-founded an aviation training program at his old high school and served as Key-man in the Secret Order of Quiet Birdmen fraternity and as a member of the Bay-Waveland Yacht Club for 40 years. Anselm Wetzka passed away on Thursday, May 14, 2009. He was 86 years old. 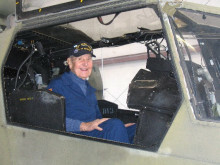 Anselm was a sergeant in the U.S. Army Air Corps and WWII Veteran. He was a long time member of the Restoration Unit and was very talented. He was an expert at upholstery and restored the seats and interior of the AT-11, Cessna, Hiller, Mule and other projects. He is survived by two daughters, five grandchildren and seven great grandchildren.